What is a Numi App? Numi app is a modern day calculator that can’t be compared to any other counting machine today. It combines versatility, style, functionality and is acting like your math assistant in everyday activities. No matter what do you need Numi for, it will give you precise calculations that will make your life a lot easier. You can rely on Numi for basic adding or advanced, high-degree math computing. This great app understands and smartly conveys words and sentences into numbers! It’s not your regular calculator that can only handle one operation at a time, Numi is highly multifunctional and adaptable to complex problem-solving. While usual adding machines offer a limited number of options, this application breaks the mold of the old school devices we used to carry around before. The experience of using Numi can only be described as enjoyable. Fancy and straightforward design paired up with consistent performance and simplicity of use makes it the best personal digital assistant. It is a must-have for anyone who wants to be organized and likes to strategize with grace. As mentioned before, Numi is a handcuff free version of a number cruncher and everything a good calculator should be in our technologically advanced era. A multidimensional range of possibilities makes this one of a kind app an essential tool for dealing with digits, as you can give it numerous commands at once and see all of them sharing the same screen space, there is no need to clean up the input line every single time. This smart program can memorize a lot of information and is impressively flexible with its processing. Not only that, the results of your mathematical actions can be retained with the help of the iCloud! It is super useful to have that info available to you at any time, and this app understands how terrible it is for some of us to memorize a lot of numbers and keep everything on a lock on a cerebral level. We can’t recall everything. Some of us are not good in finding out the time difference, or possibly we are just lazy to think about it really, but this app is not and has a function of lining up time zones and giving you a definite answer on time in any particular area in the world. Amazingly handy feature for people who have interest in events that are taking place in the faraway part of the world! It also would help you be polite to your overseas friends, as you don’t want to wake them up in the middle of the night! They won’t understand you, but Numi always will, no matter how strange your inquiries are. Sign and word symbols are clear to this app. Nothing can confuse this little gem. You can convert currency, measurements, metric systems, and you name it! You can even find out how many teaspoons it would take to scoop milligrams. Same goes for counting bytes and converting them to the more relevant mega and gigabytes, for converting cm to inches, kg to pounds. What can be better than getting a clear understanding of a discount price for the product you are planning to buy or getting a converted sum of money according to the latest rates? Still not impressed? Then you have to check out how efficiently Numi sorts out percentages and how effortlessly it handles basic CSS units. 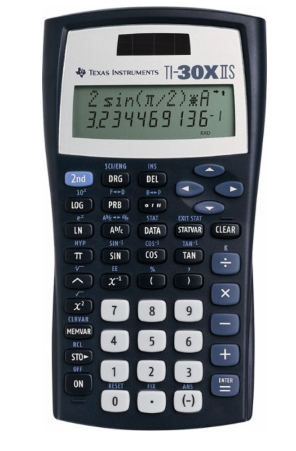 This is an all-around calculator that is not afraid of multiple tasks and complicated directives. You can enhance the performance of this useful program with the help of a BetterTouchTool. It is another excellent tool that gives you a chance to customize your trackpad settings and improve the overall quality of your user experience. You can get easy access to Numi using different routes, whether through the main hotkey, menubar or even notification center. The choice is yours! The app is getting better and better each day, so the comfort of usage will only improve with time! Numi is pushing the boundaries of your usual calculators and raises the bar to a whole new level. It’s already one of the best apps to have on your Mac. You can get it for free now, and after seeing everything yourself, you will admit that this app is by far the most progressive calculator you can use today!